New concept, new brands, new look. Following its facelift, the exp37 has a new glow about it. The store design continues to be based on the concept store idea. Through different product worlds this concept has been evolved and the customer can experience storytelling live at the PoS. 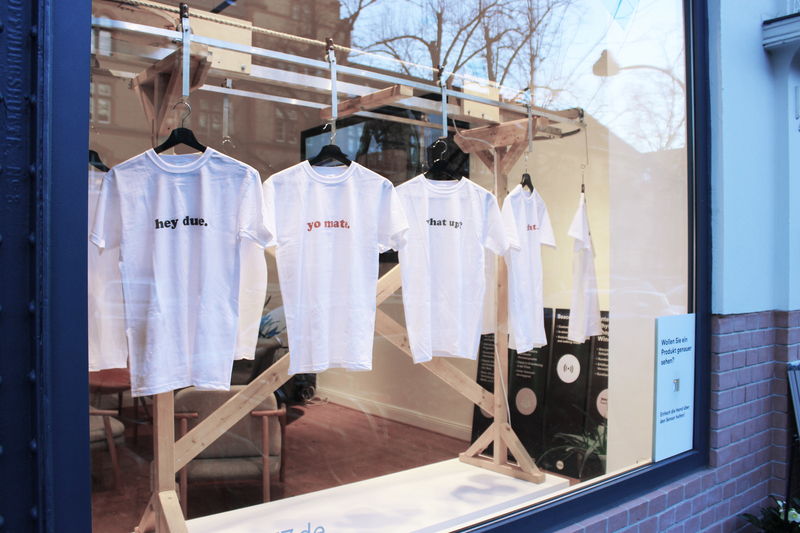 The well-known “drycleaner” in the store window has a new theme: a funny dialogue of printed t-shirts invites passersby to stop and press the sensor in order to activate the drycleaner and thus read the entire conversation. In the other store window, the interactive digital shopping window continues to stand in the center of focus. In the first room, clean white podiums form a large product island. Together with a composition of stylish designer furniture and the digital wall, a “concept & conference space” is formed. 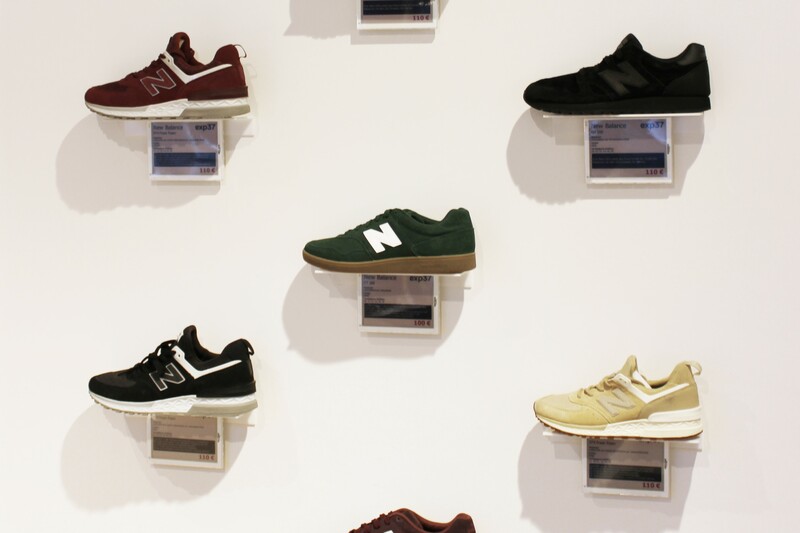 The highlight of the room is a sneaker wall in combination with digital price tags, which integrates current visual merchandising trends with the latest technologies. In the next room the “male world” in rustic denim factory style stands opposite the feminine and sensual “female world”. 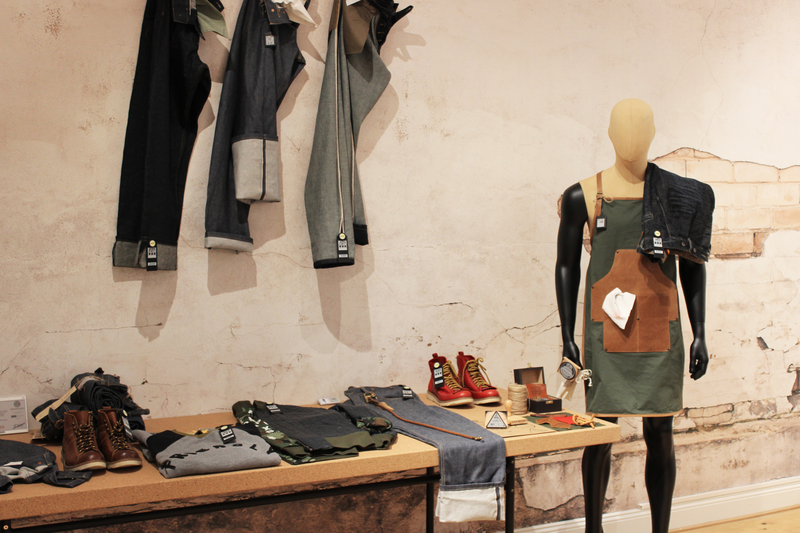 In the male world the visual merchandising of the brand Herrenschatz shows how the topic of customization can be emotionally portrayed. The intense colors of the Coccinelle handbags and their unusual combination make the female world a real eye-catcher. In between there is a “lounge zone” which invites visitors to wind down and relax thanks to its large seating area and botanical flair. In the fitting rooms the trend topic “holographic world” is portrayed in combination with futuristic furniture. The new store design emotionalizes the shopping experience and ensures that exp37 visitors are surprised with every returning visit.